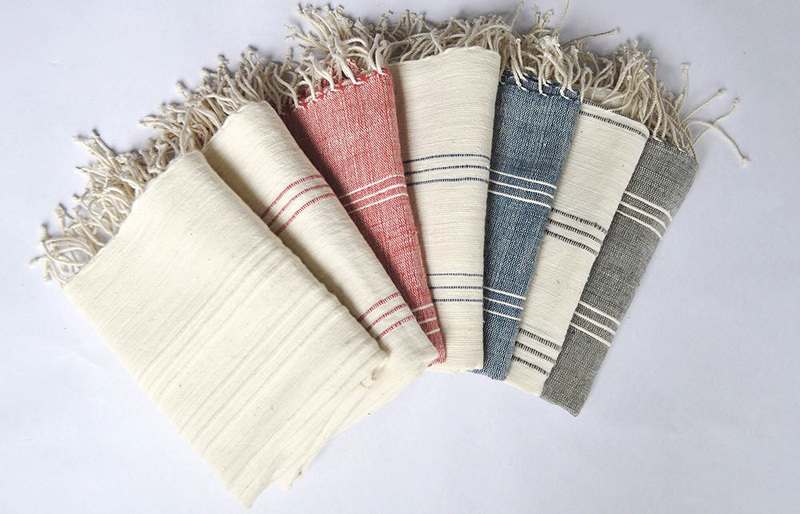 The Shebelle Towel is part of our collection of high-quality, completely handmade flat weave towels made of 100% Ethiopian cotton. Our multi-use towels are perfect for the bathroom, poolside, on the beach or at a favorite picnic spot. Sand shakes right off this flat weave towel and can be worn as a sarong, skirt or shawl. Your customers won’t travel without it. This towel has coordinating Shebelle hand towels and hangs well with the Tekeze design in gray and navy. Machine wash on cool and tumble dry low. It gets softer with every wash.